Our AK74 chest rig is based upon the same design as our AK47 rig but designed for the shorter and less curved 74 magazine. 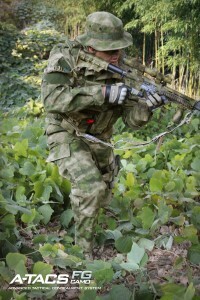 This AK74 chest rig is designed for the weapon system. Here is a great video review of the SVD chest rig and the Chamelion chest rig. Both rigs are reviewed side by side. The SVD chest rig takes the proven design of the Chamelion and modernizes it with a few improvements. The SVD chest rig improvements: All buckles are quick release and adjustable. Hybrid elastic/snap mag pouch retention system. Molle webbing for modularity. Velcro closure on rear pocket. Side Mag pouch angle adjustment for better access. 100% cordura, Available in multiple colors – Multicam, A-TACS, Ranger Green, OD,Coyote and Black. 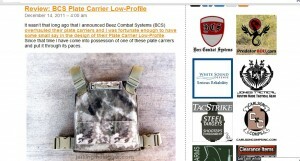 Check out the review of our low profile plate carrier over at Jerking the Trigger. The BCS Plate carrier low profile is an affordable and simple plate carrier with many features at a great price. 2" waist and shoulder straps, velcro ID and 4" velcro on front plate for mag pouches or to help secure a chest rig. Shoulder pads are available to help improve comfort. The post over at Jerking the Trigger talks about some of the features on our shoulder pads. 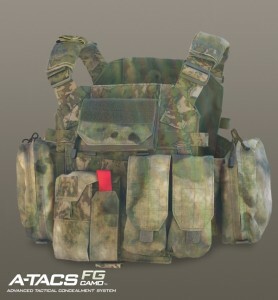 A-TACS FG Camo Utilizes numerous shades of green sampled directly from a variety of forested and transitional terrain elements combined with various shades of earth, A-TACS FG Camo was developed to be effective in a wide range of temperate environments. As with the original A-TACS Camo pattern, the organic pixels in the micro patterns are grouped into larger, more defined "macro" shapes creating larger more defined patterns. The larger organic shapes and strategically placed shadow elements within the macro pattern help to create a unique three-dimensional effect never before seen in a tactical concealment system of this kind. The answer was found in the creation of an entirely new pattern based on the A-TACS Camo's unique "pattern within a pattern" concept. The addition of simulated depth was also necessary in order to add visual disruption to further break up the human silhouette. BCS is now taking orders on all A-TACS FG gear and will have it ready and shipped by Christmas. Get your order in today!!! !